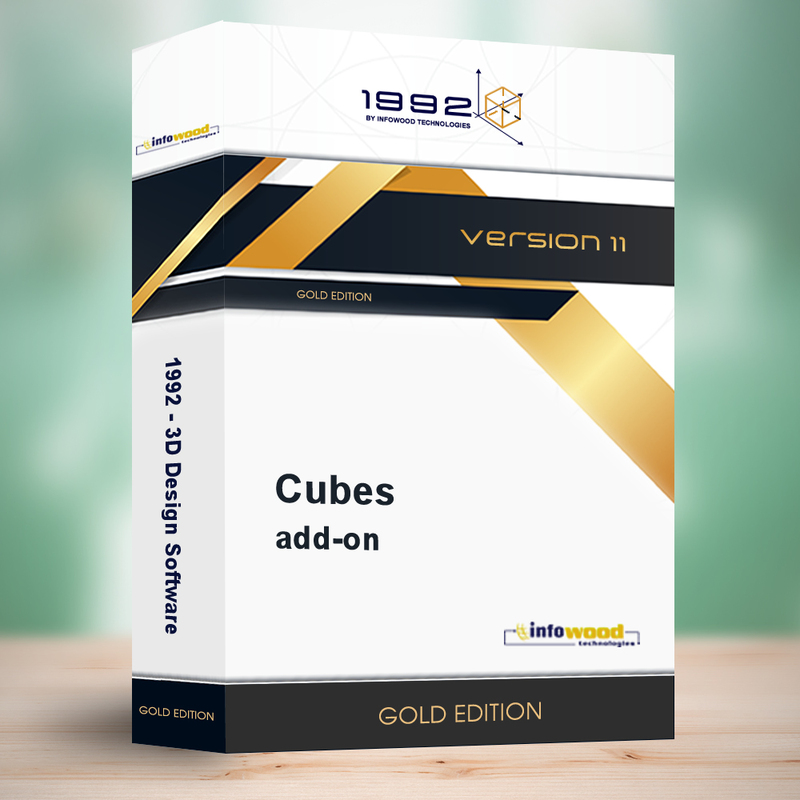 Cubes Add-on relates to Automatic Design with the help of Wizard. It is based on 1992 Enterprise version 11 and connects with raw materials analysis program and cutting optimization. Also, it gives construction instructions and detailed cost based on raw materials. It includes libraries for automatic design of opening and sliding closet (light and heavy type) and any kind of composition. Cubes Add-on relates to 1 license.